Includes a pair of 15 mm 8 inch and 15mm 4 inch silver rods. Includes 1/4-20 & 3/8-16 threaded holes for accessory attachment. Includes one telescopic double handle ARRI rosette (HAND3). 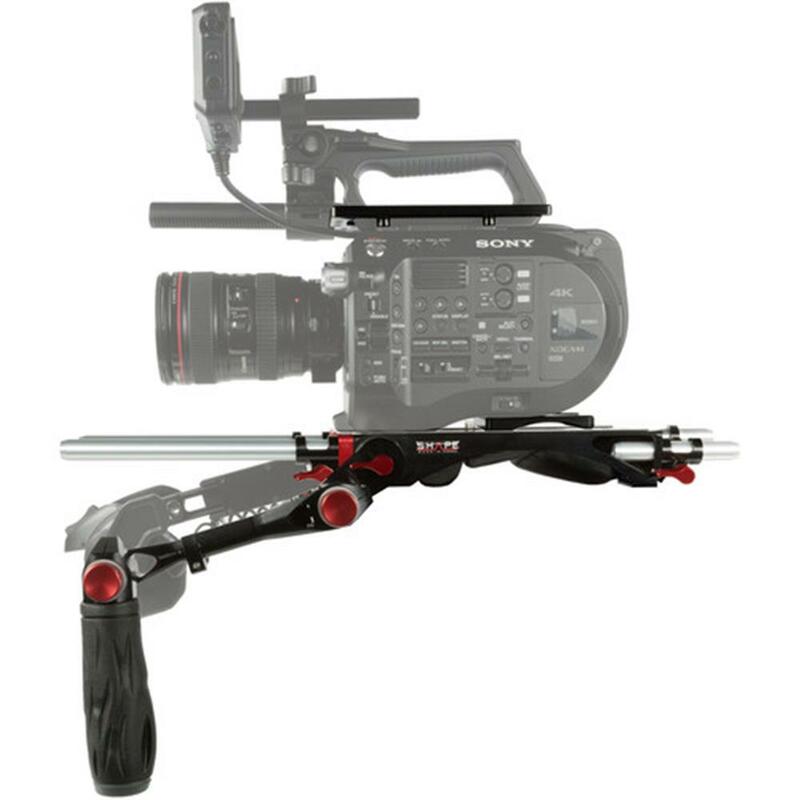 Includes the FS7 Top Plate and the FS7 Rear Insert Plate. Offers a balanced solution directly on the shoulder. 2 levels of height adjustments for the front rods. Get comfortable, readjust your Telescopic handle on your chest. Can easily be combined with our practical Telescopic support arm with rod bloc and Belt, your back will thank you for it! CNC machined aluminum top plate.